All girls receive lessons in Art and Design from Year 7 to Year 9. It is then an option at GCSE and again at A Level. Photography is also available at A Level. In Year 7, the girls receive specialist teaching in textiles, painting and ceramics. In Year 8, print-making is added to the syllabus, and in Year 9, photography is included, in both digital and traditional black and white formats. Classes are small, and each discipline is taught in its own dedicated space within the Art Complex. At GCSE, pupils follow the OCR course. The girls work in small groups, developing their skills, and recording their research and progress in their sketchbook. They experiment with the three main disciplines of painting, textiles and ceramics, before choosing one to pursue as part of a self-directed project. At A Level, pupils follow the Edexcel course. This begins with a workshop in London, and the chance to work with an artist in person. Girls then experience a carousel of the four main disciplines, painting, textiles, ceramics and sculpture, before choosing their specialism. During the course they experiment and refine their technique, research different artists, and develop their own project work. There is a focus on independent work, and the girls document all their preparatory work in sketchbooks, before embarking on their final pieces. Photography A Level follows the OCR course. It begins with the department’s trip to London, where the girls visit galleries and begin taking photographs as part of their project work. This is followed by studio workshops in digital and dark room techniques. The girls build on their understanding of photographic technologies and techniques, and then develop their own independent project. The girls are taken on regular trips to museums and galleries, and have the opportunity to work with practising artists, both here at school and on our annual residential trip, which this year went to Brighton. They also attend artists’ talks at Eton. Life drawing takes place at school once a fortnight for senior girls. Pupils' work is exhibited around the school throughout the year, and the department also stages a major exhibition on Open Day. Girls enter their work for the Windsor School Festival and the Saatchi Art Prize. The girls also host pupils from St Francis Primary School for an art day once a year. All the staff in the Classics Department are specialists in both Latin and Greek. Latin is taught to all girls in Years 7 and 8. Most girls continue with Latin in Year 9, though some pursue a course in Classical Studies instead. Latin is then an option at both GCSE and A Level. In Years 7 to 9, pupils are introduced to the Latin language, and then begin to learn more complex language skills, including composition. They also learn about Roman life and history. They study the city of Pompeii and its eventual fate, and learn about life in Roman Britain and ancient Alexandria. At GCSE, pupils follow the OCR course, which involves the study of authors such as Pliny, Tacitus, Cicero and Livy. They learn to appreciate Latin prose and verse literature in the original and develop a more sophisticated understanding of the accidence and syntax. They are then able to read continuous Latin prose with fluency and tackle simple English into Latin translation. The course includes trips to the British Museum, and to classics conferences at other schools. At A Level, pupils follow the OCR course, which provides a blend of language and literature, including works by Ovid, Cicero, Virgil and Horace. They study Latin authors in depth and tackle both unseen verse and prose for translation and comprehension, as well as building on their composition skills. They also go on regular outings to places such as the Cambridge Cast Gallery, to university events and lectures, and to theatrical performances. Pupils are given a taster in Classical Greek in Year 8, and able pupils then begin a course in Classical Greek in Year 9. It is then an option for both GCSE and A Level. At GCSE, pupils pursue the OCR course, studying authors such as Euripides, Herodotus, Homer and Xenophon. They learn to appreciate Greek prose and verse literature in the original and develop their understanding of syntax so that they are able to read with fluency. They also tackle simple English into Greek translation. They go on trips to the British Museum and classics conferences, and to performances of Greek tragedies at local and national theatres, including the annual Cambridge Greek Play. At A Level, pupils pursue the OCR course, which includes the in-depth study of authors such as Plato, Sophocles, Aristophanes, and Thucydides. They tackle both verse and prose unseen for translation and comprehension, as well as building on their composition skills. There are regular outings to university events, lectures and performances, and there is also a Sixth Form Greek Club. Aspects of Greek and Roman civilisation are encountered as part of the Latin course in Years 7 to 9, and some Year 9 girls take a course in Classical Studies instead of Latin. Classical Civilisation is then available as a subject option for GCSE, if there is sufficient demand, and for A Level. At GCSE, pupils follow the OCR course. They learn about Greek and Roman society, religious beliefs, mythology, and domestic life. They also analyse ancient source material, including classical literature in translation, and material evidence such as archaeological finds from Pompeii and Herculaneum. They develop an awareness of the relationship between classical Greece and Rome and the world of today. At A Level, pupils follow the OCR course. This incorporates a blend of ancient literature in translation and the study of classical culture, including religion, politics, sculpture, architecture and pottery. Pupils explore the world of the hero through an in-depth study of selected books from Homer’s Odyssey and Virgil’s Aeneid in translation, and develop an appreciation of the religion of the Greeks and Romans using a variety of sources, including classical art and architecture. They go on outings to the British Museum and other sites of interest. Sixth Form classicists run their own Senior Classical Society for the benefit of girls from Years 10 and upwards. They organise visiting speakers, film and video evenings, suppers and debates, as well as monthly events with the Eton Classical Society. There is also a Sixth Form Greek Club. A Junior Classics Club meets regularly, offering activities such as designing and creating a Roman mosaic, making Roman jewellery, or designing Greek pots. Trips are plentiful and varied across the year groups. Younger girls visit the museum at Corinium and Chedworth Roman Villa, the British museum sculpture gallery, Butser Ancient Farm and of course Bath. GCSE pupils go to London for set text study days, and the Sixth Form do the same at Cambridge University. They have also recently visited the Scythian exhibition at the British Museum. There are regular theatre trips, recently for example to a production of Bacchae at the Oxford Playhouse, a production of Sophocles’ Antigone, and a trip to the Cicero trilogy at Stratford. Pupils have visited London for lectures on topics such as The Odyssey and classical tragedy. Overseas residential trips also take place roughly once every two years, most recently to Rome in January 2018. All girls in Years 7 to 9 have timetabled lessons in Computing. The syllabus covers essential ICT skills such as database, spreadsheet modelling, data analysis and graphing skills, but also extends beyond these to include digital literacy and Computer Science. In addition, Year 8 have one collaborative STEM lesson a week as part of the design, electronics and computing carousel. At GCSE, girls follow the CIE IGCSE course in Computer Science. They develop their understanding of the main principles of problem-solving using computers, and apply this to creating computer-based solutions to problems using algorithms and a high-level programming language. They also develop a range of technical skills, and explore current and emerging computing technologies. In the Sixth Form, girls are given the opportunity to take a technology course in which they receive support for pursuits such as web or app design, programming, CAD and 3D printing. This programme is designed to support pupils with interests they may want to pursue at university such as engineering, architecture, graphic design or computer science. Drama is taught to all girls in Years 7 to 9. It is then an option at both GCSE and A Level. In Year 7, the girls learn basic drama skills such as mime and improvisation, and work on radio plays, musical theatre, and Shakespeare. In Year 8, they experience a range of theatrical styles and methods, from the ancient Greeks to commedia dell' arte. They go on a day trip to the Globe theatre, which includes a tour and workshops. Every girl also participates in performances of condensed Shakespeare plays that are presented to parents as part of the Year 8 parents meetings. 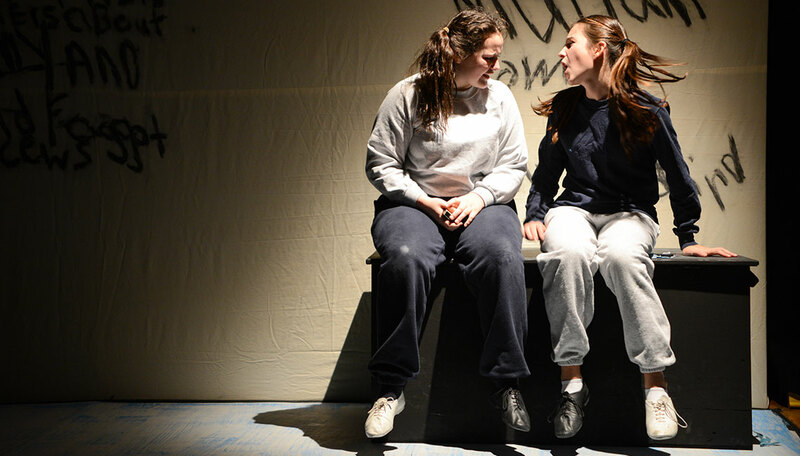 In Year 9, the girls learn about dramatic genres such as forum theatre, farce, musical theatre, and physical theatre. They use political theatre to look at issues such as the suffragettes and homelessness. They also try their hand at script-writing. At GCSE, pupils follow the Eduqas Drama course, which contains a significant practical element. The girls put on their own devised pieces as well as performances from text, which are chosen by the girls in consultation with the department. Recent choices have included Di and Viv and Rose, The Wasp and Shakers. Trips to live performances are a regular part of the course, and girls normally see eight or more plays during the two years, in addition to seeing performances through the NT Archive and Digital Theatre. There are also regular workshops with professional practitioners. At A Level, pupils follow the Eduqas Theatre Studies course, which again highlights the practical side of the subject while maintaining intellectual rigour and a sense of academic enquiry. The course includes the chance to re-imagine a text for performance, and opportunities to study classics of theatre literature such as Cat on a Hot Tin Roof and Hedda Gabler alongside more modern works such as Chimerica and The Curious Incident of the Dog in the Night-Time. The girls are required to watch as much live theatre as possible, so there are regular trips to see some of the many exciting theatre productions available both locally and in London. The Thorndike Society is the girls' live theatre club which organises theatre trips outside the syllabus. In the last few months, they have enjoyed trips to Running Wild at Regent's Park, Oslo at the Harold Pinter Theatre, and Jez Butterworth's The Ferryman at the Gielgud Theatre. Lower school trips have included Goodnight Mister Tom at the Wycombe Swan and The Boy in the Striped Pyjamas at the New Victoria Theatre, Woking. Girls can opt to take Extra Drama, which leads to the Trinity Guildhall examinations and beyond. Extra drama pupils in Years 7 to 9 put on a showcase of their Shakespeare work every year in the Rose Theatre, while the Year 10 girls perform contemporary pieces. The department also puts on 'Plays in a Day' in conjunction with local schools. There are plenty of opportunities for girls to perform on stage. The last year has seen our main school production, The Light Burns Blue, a studio production of The Secret Garden, the whole school musical The Wizard of Oz, the junior play Daisy Pulls It Off, and a Year 7 and 8 production of This Changes Everything. Every year the Drama Captain directs the younger girls in a play, which this year was Tusk Tusk. There is also an annual House drama competition, the entries for which are again directed by the Sixth Form Drama Captains. Economics is taught at A Level, and follows the AQA course. The course covers both micro and macroeconomics, including supply and demand analysis, markets, AD/AS analysis, and how government policy seeks to achieve economic objectives. Pupils then go on to look at economic theory in greater depth. In microeconomics, this includes labour markets, the distribution of income and wealth, the environment and market failure. In macroeceonomics, pupils learn about national economy, and then cover international topics such as globalisation, trade theory, exchange rates, and the UK’s relationship with the European Union. Government and Politics is taught at A Level, and follows the AQA course. The course covers both UK and US politics, and explores comparisons between the two systems. The girls look at how political systems and parliaments work, the role of the judiciary, and how participation in democracy happens through elections, referendums and pressure groups. The course also covers the main political ideas, including liberalism, conservatism and socialism. Sixth Form pupils stay closely in touch with current news and events. There is an Economics and Politics Society, which is open to girls in Years 10 and above. Sixth Form girls have a trip to London, visiting Parliament and the Bank of England, and enjoyed a 5-day trip to Washington and Philadelphia in February 2018, during which they visited Congress, the National Constitution Centre, and Independence Hall, where both the Declaration of Independence and the Constitution were debated and adopted. St Mary’s girls also take part in Model United Nations. They attend several conferences around the country each year, representing a different nation state each time. All pupils receive lessons in English from Year 7 through to Year 11, and take IGCSEs in both English Language and English Literature. English Literature is then an option at A Level. In Years 7, 8 and 9, pupils study a wide range of literature from all genres and periods. This involves a mix of poetry, prose and drama, and covers writing from Chaucer to the present day, including a Shakespeare play every year. They also have dedicated language lessons every week, which cover everything from technical areas such as grammar and punctuation to a wide range of writing skills. The girls also enjoy having dedicated reading time every week. At IGCSE, the girls follow the Edexcel Language A course. They consolidate their handling of grammar and syntax, and apply these skills in a variety of writing styles, both transactional and creative. They study non-fiction, including media, travel writing and autobiography, and learn to analyse unseen texts. They also study a selection of poetry and prose writers, including Wilfred Owen and Benjamin Zephaniah. At IGCSE, the girls follow the Edexcel course, which covers all three major literary genres. In poetry the girls encounter a variety of writers, including John Keats, Carol Ann Duffy and John Agard. For prose, they conduct an in-depth study of Harper Lee’s To Kill a Mockingbird, and for drama they study Arthur Miller’s A View from the Bridge and Shakespeare’s The Merchant of Venice. They also learn the skills of unseen analysis. At A Level, the girls follow the OCR course. They study a range of literature across the ages, including Shakespeare, Webster and Milton, as well as a coursework unit in twentieth and twenty-first century writers such as Tennessee Williams, Ian McEwan, and Carol Ann Duffy. They also complete a detailed study of the Gothic genre, which includes a wide range of reading from the late 18th century to the present. In addition to studying the texts themselves, the girls look closely at contextual influences and critical history. Trips are a regular feature of life in the department. Recent trips have included An Inspector Calls at the Playhouse Theatre, Hamlet at the Harold Pinter Theatre, The White Devil at the Sam Wanamaker Playhouse, and The Merchant of Venice at the Globe. The NT Live Club also goes to see live streamed theatre in local cinemas several times a term, including in recent months Follies, Benedict Cumberbatch's Hamlet, and A Woman of No Importance. Year 9 have visited the Jane Austen Museum at Chawton, and also enjoyed a live performance of Jane Austen at Home by the Stephen Siddall Company. Reading is an important part of the girls' day, and there is an enthusiastic independent reading culture in the school. In addition to dedicated reading time in lessons, every girl has 15 minutes of reading time before bed, called 'Little Lights'. There are two pupil-driven Reading Groups, one for younger girls, and another run by senior girls for the Sixth Form, and an annual Book Fair, at which older girls recommend books they have loved to younger girls. The Library is well stocked with contemporary and classic fiction, and is open throughout the day, including on weekends. The Debating Club meets every week, and is open to girls in Years 11 and above, with the Upper Sixth girls mentoring the Year 11s. The St Mary's Debating Team competes regularly against other schools, and enters both the Cambridge and Oxford Union Debating Competitions. There is also an annual House competition. Public Speaking takes place in both junior and senior formats. Teams compete in the Rotary Youth Public Speaking Competition every year, as well as in the annual House competition judged by an external adjudicator. The Creative Writing Club meets every week. Workshops are run by members of staff, and give the girls the opportunity to experiment with the writing of both prose and poetry. They publish an anthology of their work every year, and often enter public competitions such as the Rotary Young Writers Award, the Chalke Valley History Festival, and the Windsor Festival, which was won last year by a St Mary’s pupil. There is an annual Poetry Competition in Year 9 which all girls enter. Younger girls take part in annual poetry workshops with visiting poet Adisa the Verbaliser. Journalism is a popular activity, and is run entirely by the girls. They produce a weekly broadsheet of topical news items, called The Paper. They also produce a more substantial termly magazine called WHAT, which contains a mixture of news and feature journalism, and is sold for charity. Geography is taught to all girls in Years 7, 8 and 9. It is then an option at both GCSE and A Level. In Years 7 to 9, the girls explore topics such as the Middle East, glaciation, and oceans. We make use of our beautiful grounds to complete fieldwork during lessons, exploring microclimates and parks. The girls also go on an annual field trip. At GCSE, pupils follow the Edexcel A course, which covers both physical and human geography. Physical geography includes the study of coastal and river landscapes, weather hazards and climate change, and biodiversity and management. The course also involves a field trip to Juniper Hall where the girls complete a rivers study as part of their Investigations unit, and we continue to use our own grounds for the study of woodland ecosystems. Human geography looks at topics such as cities, global development, and resource management, and involves a field trip to the Field Studies Council in London’s Docklands. This leads to a personal investigation on a contemporary challenge drawn from one of the areas studied. At A Level, pupils follow the Edexcel course. A variety of topics are studied, including tectonic processes and hazards, glaciated landscapes, the water cycle, the carbon cycle and energy security. This leads on to the study of superpowers, global development, health, human rights and intervention. The course also involves a five-day residential field trip to the Field Studies Council at Rhyd-y-Creuau in Snowdonia, where the girls complete an independent study of either a human or physical topic of their choice. Trips and fieldwork are an essential part of the study of Geography. Year 7 go on a trip to the Henley Rowing and River Museum. Year 8 visit the Earthquake and Volcano exhibition at the Natural History Museum. Year 9 go to the New Forest to undertake a self-generated project on either a human or physical fieldwork topic of their choice. The focus is on developing the girls’ ability to work independently. Sixth Form girls attend the Institute of Education geography lectures at UCL, and a team of girls also take part in the Geographical Worldwide Quizes. There is a Lower School Geography Society run by Sixth Form Geography Captains, who put on fortnightly seminars on topics of general interest. History is taught to all girls in Years 7, 8 and 9. It is then an option at both IGCSE and A Level. In Years 7 to 9, the girls follow a course in British history starting in 1066 and finishing in 1918. In Year 7 they learn about medieval life in villages and castles, and also complete a unit on Imperial China. In Year 8 they study the Tudors and Stuarts, and also learn about the French Revolution. In Year 9 the course moves on to empire, slavery, and the radical changes of the 18th century. The girls also study World War 1, in conjunction with the poetry course taught by the English Department, and go on a joint History and English Department trip to the World War 1 battlefields of Europe. At IGCSE, pupils follow the CIE course. This looks at international relations from 1919 to 2001, and also involves an in-depth study of the Great Depression and Germany between the wars. The girls all complete a detailed coursework project as part of the course. At A Level, pupils follow the OCR course. They study political, social, religious and cultural history from the 16th to the 20th centuries. This covers topics such as the late Tudors, the 16th-17th century witch craze, the Russian Revolution and early communism, and a coursework project on social and cultural change in 1960s Britain. Trips are an important part of the study of History. In the lower school, we take all the girls on a day trip to Hampton Court, and in Year 9 they have a 5-day residential trip to the World War 1 battlefields of Europe in the last week of the summer term. IGCSE pupils have study days on subjects such as Vietnam and the Holocaust. In the Sixth Form, trips go up to London to lectures and exhibitions at venues such as the British Museum and the British Academy. In June this year we were visited by a Holocaust survivor, who spoke movingly to the school about his experiences. The Junior History Club runs events such as balloon debates for the younger years, while the Senior History Society organises formal academic discussions at which a senior girl presents a paper to her peers. A weekly university group provides an opportunity for girls interested in further study to explore their own interests in greater detail. History of Art is available at A Level, and follows the Pre-U course. Pupils learn about human history and the artistic expression of civilisations through the study of painting, sculpture and architecture. They look at Western and non-Western art, Rome, the High Renaissance, the Baroque, and Modern art, and also complete a 3000-word personal investigation on a topic of their choice. Object-based education is an essential element of the course, so Sixth Form art historians travel to exhibitions and museums regularly, as well as abroad to both Paris and Rome to study works in situ. The Minerva Society organises trips and talks as an integral part of the A Level course, as well as to extend the pupils’ appreciation of art more broadly. Recent speakers have included Harry Mount, Head of History of Art at Oxford University, and Alex Fielding, Director of The Bigger Picture. The senior girls also run a Junior Minerva Society for the younger girls in order to give them some experience of the subject prior to A Level. As well as the two overseas residential trips to Paris and Rome, the Society takes regular trips to London museums and galleries. Last year we also enjoyed a private candle-lit tour of St George’s Chapel in Windsor Castle. Every year, the Department organises and leads a guided day trip to a London art collection for parents, and a guided weekend trip to a European city. In recent years we have visited the National Gallery, Tate Britain, the Foundling Museum, Dulwich Picture Gallery, and the V&A. Weekend trips have visited Rome, Florence, Palermo, Madrid, Tuscany and Veneto. As well as being great fun, these trips have also raised money for charities such as CAFOD, the Coram Foundation and the Westminster Diocese Lourdes Fund. Spoke is a national art history film-making competition run by the History of Art Department at St Mary’s, in conjunction with Art History Abroad and The Horse Boy Foundation. It is open to all UK pupils in Years 11, 12 and 13. Entrants are required to create a documentary film lasting between 5 and 7 minutes that presents the results of their academic research into a work of their choice. Its purpose is to challenge pupils to link the visual and verbal in an imaginative and creative manner. The competition is judged externally by people from the art and film world. For more information, including details of how to enter, please click on the links below, or email spoke@st-marys-ascot.co.uk. Mathematics is taught to all girls in Years 7, 8 and 9, and is a core subject at IGCSE. It is then an option at A Level. In Year 7, all girls follow an induction programme and are tested in a wide variety of topics, such as algebra, statistics, and investigation work. They are then set by ability, in order to maximise the learning of each pupil, and these sets are reviewed every half term. From Years 7 to 9, the girls follow a course of study that prepares the ground for the IGCSE years to come. At IGCSE, pupils follow the Edexcel course, and we expect all girls at St Mary’s to take the higher tier qualification. This covers the four core areas of Mathematics: number, algebra, statistics and geometry. At A Level, pupils follow the Edexcel course. Pure Mathematics forms the core of the A Level course, together with applied content in Statistics and Mechanics. Additional Mathematics is offered via the OCR course to girls in the top set who already have a secure knowledge of the IGCSE course. They extend their learning of the core syllabus, and expand on this to include calculus and further trigonometry. Additional Mathematics is a stand-alone qualification, and is taken alongside IGCSE Mathematics at the end of Year 11. The Maths Department runs clinics throughout the week and on weekends to support girls who need extra help outside the classroom. Younger girls also enjoy the challenge of our Puzzle of the Week. Gifted mathematicians in all year groups have the benefit of a senior mentor from the years above, and we enter girls for the UKMT Mathematics challenges and Olympiads every year. The Department hosts a mathematician-in-residence for one week a year, who gives talks and holds workshops with girls across all year groups. A Level pupils also attend the annual Coulter McDowell lecture at Royal Holloway, and girls from various year groups attend occasional enrichment days and masterclasses in Oxford. Girls are often offered places on the Royal Institute Masterclasses course, which runs for six Saturdays a year, and those who are selected for the St Mary’s Academy are offered Maths in the City workshops. Most of the teachers in the MFL Department are native speakers in their primary subject. The Department also employs language assistants to help the girls outside normal lesson time, particularly with oral work. French is taught to all girls in Years 7 to 9, and is usually chosen as the one compulsory modern foreign language to be studied to GCSE. It is then an option at A Level. In Year 8, girls have the chance to sample German, Italian and Spanish, and they then choose one of these to study as their second European language through to Year 9. Bilingual pupils may be taught in a separate set, once their ability has been assessed. German, Italian and Spanish are all then available as options at GCSE and A Level. In Years 7 to 9, pupils cover topics such as self, home and family, free time, school, future plans, and shopping. In doing so, they learn key linguistic concepts such as adjectives, pronouns, negatives, expressions of quantity, and regular and irregular verbs. At GCSE, pupils follow the AQA course for French, German and Spanish, and the Edexcel course for Italian. They explore topics such as relationships, leisure, holidays, health and jobs, and in doing so learn new structures and tenses such as the conditional and pluperfect, as well as consolidating the work from earlier years. Where appropriate, able pupils may be entered for GCSE at the end of Year 10, and then continue their studies at a higher level in Year 11. At A Level, pupils follow the AQA course for French, German and Spanish, and the Edexcel course for Italian. These courses cover a variety of contemporary topics such as social trends, artistic culture and political life. Pupils study two set texts, or one text and a film, and use a range of media for their individual research project which they present in their speaking examination. Pupils in Year 8 may choose to do a taster course in Mandarin, and it is then available as a subject option in Year 9 and for GCSE. Pupils follow the Edexcel course. Other languages may be available outside the timetable, according to need. We have in the past offered courses in Arabic, Dutch, Modern Greek, Polish, Portuguese and Russian. These can, though do not need to, be taken through to GCSE. Year 8 go on a very popular trip to France for a week in the summer term, during which they visit markets and beaches, make their own bread, and explore places such as St-Malo and Mont Saint-Michel. The Modern Languages Film Society is run by the senior girls, and meets several times a term to watch and discuss films in the relaxed atmosphere of the Mary Ward Courtyard Common Room. In 2018, the Sixth Form girls put on a production of an extract from Le Dîner de Cons, which they then entered for the Festival de Théatre Francophone in London. Evening talks about French literature are organised two or three times a year for the Sixth Form. Earlier this year the girls hosted Professor Richard Parish from Oxford who delivered a poetry workshop. In addition, there is a Russian Club which meets once a week in the summer term, and is designed to give girls an introduction to the Russian language. Music is taught to all girls in Years 7, 8 and 9, and is then an option at both GCSE and A Level. In Years 7 to 9, pupils explore the three key elements of listening, composing and performing. As well as lessons in singing, and plenty of opportunities for performance, the girls also complete projects. In Year 8, these include animal compositions based on Saint-Saens’ Carnival of the Animals, the study of Romantic programme music and music for voice. In Year 9, projects include folksong, nationalism and blues. The Bands project during the Lent term involves all girls performing a pop song in groups to a full audience in the Rose Theatre. The year ends with the popular Music for Film project. At IGCSE, pupils follow the CIE course, in which composition and performance are key elements. Girls perform a solo and an ensemble piece each, and these performances are recorded. For the composition element, the girls compose and record two contrasting pieces. They also study a range of music, from the Baroque to the modern, and complete an in-depth study of a set work such as Bach’s Brandenburg Concerto No. 1. At A Level, pupils follow the OCR syllabus, and performance and composition again constitute a large part of the course. The girls put together and perform a 10-15 minute recital, which takes place before an audience of pupils, parents and staff, and is recorded. They also produce two original compositions over the two years. The written element of the course involves the study of the classical period, jazz and blues, programme music, and religious music of the Baroque period. The latter includes study of Handel’s Messiah and Bach’s St Matthew Passion. Our wide range of peripatetic teachers is able to offer lessons in almost any instrument. Lessons take place in one of our many practice rooms, all of which have pianos. Practice rooms and times are available to all girls throughout the day, including weekends, from 7:30am until 10pm. Instrumentalists and singers are entered for Associated Board and Trinity Guildhall music examinations, which take place every term. Trips are a regular feature of the Department’s activities. We are able to take advantage of the world-class music that is on offer at the Royal Festival Hall, including in the last year a rare performance of Rachmaninov’s 3rd Symphony, and a complete performance of Ma Vlast, Smetana’s nationalistic cycle of tone poems which the girls are studying for A Level. In 2017, Year 8 went up to the famous Metropolis recording studio to make a professional recording of a song which they had written in class. The Department’s European trips are always very popular. On the tour of Venice and Padova in 2016, the girls performed Mass in St Mark’s Basilica, and gave concerts in the Salla della Carita in Padova and St George’s Anglican Church in Venice. They also visited churches, watched fireworks on the Grand Canal, and saw glass-blowing on Murano. This was followed in December 2017 by a Christmas tour to Budapest, where the singers performed Mass at St Stephen’s Basilica and a festive programme of music at the central stage in the Christmas market. Concerts at school take place regularly. Informal lunchtime concerts are held every two or three weeks. In the Michaelmas term we hold our annual Voices by Candlelight concert, which last year involved Senior Madrigal singing Britten’s Ceremony of Carols in Chapel with harp accompaniment. We also hold an Advent Charity Concert and three carol services. The Vocal and Orchestral Concert in March is the main school concert of the year. In 2018, the programme included Stravinsky's Pulcinella Suite, as well as compositions by our A Level music candidates. The Open Day Gala involves highlights from the year as part of the end of year celebrations. Soloists and ensembles perform regularly on other occasions such as Open Mornings and alumnae events. The girls also organise their own major events. The Summer Soirée is a concert designed by Sixth Form pupils to encourage younger girls to perform, and the programme often includes original compositions and collaborations across year groups. The Music Captain also organises and hosts her own annual concert, which might be a formal classical concert in the Chapel, or a contemporary café-style event in the Studio Theatre. In addition to the classical repertoire, senior girls also organise regular Open Mic nights, and an annual Rock Concert. In addition to our practice rooms, we have larger tutorial and rehearsal spaces, and opportunities for collaborative music-making are plentiful and fun. Concerts take place either in the Rose Theatre or in the Chapel. Campion is the main school choir, comprising girls from Year 9 upwards. Membership is by audition. Campion regularly sings at Mass and in school concerts, as well as on other special occasions such as Open Day. Junior Campion is a choir for pupils in Years 7 and 8. They lead the singing at Mass once a term, and perform in concerts throughout the year. Junior Campion provides excellent preparation for the senior choir. Davenport is the informal choir which comes together in the Michaelmas term every year to participate in Christmas celebrations. Madrigal is a group of singers who specialise in pop songs and musical theatre repertoire. As well as performing in school concerts, they are often invited to perform at school events and functions. Senior Madrigal is a select choir of 16 voices who perform in school concerts and at other special events. Senior Orchestra is comprised of girls of Grade 5 standard and above. They perform in concerts several times a year, including the school’s main annual Vocal and Orchestral Concert. Concert Band provides an opportunity for younger musicians to learn to play together in a large ensemble, and to try out some fun repertoire, including film and show music. The emphasis is on music-making as collaborative and fun. Jazz Band provides an opportunity for girls to enjoy ensemble work in a range of different styles, from blues and funk to swing and Latin. Girls learn to play tailor-made arrangements, and perform in both school and charity concerts. Religious Studies is taught to all girls in Years 7, 8 and 9, and is a core subject at GCSE. Theology is then an option at A Level, but all girls continue with at least two terms of Religious Studies in the Sixth Form. In Years 7 to 9, girls follow a course inspired by the CTS series The Way, The Truth and The Life. They explore subjects such as the person of Jesus, the nature of discipleship, and the meaning of the Hebrew scripture. The course makes imaginative use of drama, art, music and film in delivering the syllabus. At GCSE, Religious Studies is a compulsory subject at St Mary’s, and follows the AQA B course. Areas of study include Roman Catholic belief and practice, Judaism, and moral principles. The girls consider Christian approaches to moral and ethical topics such as marriage, the family, and social justice. At A Level, pupils follow the OCR course. This involves exploration of the philosophy of religion, religion and ethics, and developments in Christian theology. Girls who are not taking Theology A Level still continue with two terms of Religious Studies in the Sixth Form. This course involves the discussion of current affairs, and the role of religion in society, and is supported by a series of lectures by outside speakers. In Year 8, as part of their study of other religions, all the girls go on a day trip to the Jewish Museum in London. In Year 11, we host a revision conference at school. This is a whole day event involving seminars and workshops that explore elements of the GCSE course, while also providing a flavour of A Level-style discussion. Sixth Form pupils attend conferences in London and Oxford. In addition, the Theology Society shares its enjoyment of books and films, and also provides a discussion forum for the exploration of topics outside the exam syllabus. The Religious Studies department also plays a major role in organising and helping to run the year group retreats which take place throughout the year. They also support Year 10 with their preparations for Confirmation. Science is taught to all girls in Years 7 to 9. It is then a core subject at IGCSE, either as a combined Dual Award Science course, or as three separate courses in Biology, Chemistry and Physics. All three sciences are then available as options at A Level. In Year 7, the girls follow our own specially designed modular science course, covering topics such as reproduction, the solar system, electrical circuits and acids and alkalis. They have a single teacher throughout the year. They also participate in CASE lessons (Cognitive Acceleration through Science Education). This is an innovative hands-on course that aims to maximise brain development by developing cognitive skills and enhancing the brain’s ability to learn. In Year 8, the science course is divided into its separate disciplines, Biology, Chemistry and Physics, each taught by subject specialists. In Biology girls look at food, digestion and respiration. In Chemistry, they cover elements, compounds and mixtures, and types of reactions. In Physics, they learn about motion, magnets and waves. CASE lessons also continue in Year 8. In Year 9, pupils begin the IGCSE course, following the Edexcel specification. Topics include cell structure and basic biochemistry in Biology, atomic structure, bonding and the periodic table in Chemistry, and forces, energy and motion in Physics. There is a strong emphasis on basic scientific principles, investigative work and practical skills. In Year 10, girls choose either to take Dual Award Science or to take three separate IGCSEs in Biology, Chemistry and Physics. In either case, the girls continue to receive separate lessons in each of the three sciences. The Dual Award Science course leads to an award of two IGCSE grades, and the Triple Award course leads to the award of three IGCSE grades. At IGCSE, pupils follow the Edexcel course. The Biology syllabus covers topics such as the nature and functions of living organisms, reproduction, ecology and the use of biological resources. The Chemistry course includes principles of chemistry, the elements, organic chemistry and physical chemistry. The Physics course covers areas such as forces and motion, electricity, waves, energy, magnetism and radioactivity. At A Level, pupils of Biology, Chemistry and Physics follow the OCR courses. The Biology course begins with the development of practical skills and an exploration of foundations in biology. Topics covered then include biodiversity, evolution, disease, communication, homeostasis, genetics and ecosystems. The Chemistry course also begins with the development of practical skills and an exploration of foundations in chemistry. Topics covered then include the periodic table and energy, organic chemistry, physical chemistry and transition elements. The Physics course similarly starts by developing practical skills and looking at the foundations of physics. It then moves on to cover topics such as forces and motion, electrons, waves and photons, the Newtonion world, astrophysics, particles and medical physics. In addition to the CASE course which is followed by all girls in Years 7 and 8, the Science department runs CREST awards. This is a programme run by the British Science Association, and involves pupils conducting hands-on investigations into real-life problems in science, technology, engineering or mathematics. St Mary’s pupils frequently receive Silver and Gold awards for their work. Junior Science Club is a precursor to the CREST award project. It allows Year 7 and 8 pupils the chance to plan and carry out experiments that go beyond the classroom syllabus. Junior Engineering Club encourages students to try their hand at applying their scientific knowledge and their problem-solving skills in practical situations. They take part in national competitions based on engineering, design and robotic challenges, and the St Mary's team this year won first prize in the Talent 2030 National Engineering Competition for their project on sustainable cities. In addition, the Medical Society organises its own events, as well as visiting the Eton Medical Society for regular talks. Pupils compete successfully in Olympiads in all three sciences. The department runs numerous trips each year. Year 7 enjoy a day out at Legoland, looking at forces in action. IGCSE pupils go on a Biology field course at Juniper Hall, and also attend Science Live!, a full day of lectures and presentations from some of the UK’s top scientists. The Lower Sixth conduct ecological investigations in the field, and visit university laboratories to gain hands-on experience with analytical apparatus not usually seen in schools.